The Competition And Markets Authority and Viagogo have reached an agreement which will provide customers with more transparency when dealing with the secondary ticket website. 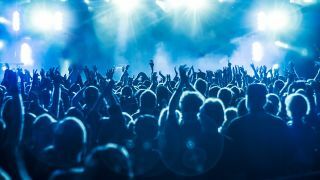 The UK regulator began legal action against Viagogo earlier this year over concerns that the company were breaking consumer protection law. The High Court has now ordered Viagogo to “overhaul the way it does business” with the two sides now agreeing what’s being called “a ground-breaking settlement” which will come into effect from January 17 next year. Viagogo has been ordered by the court to inform customers if they run the risk of being refused admission to a venue, give access to the identity of the seller, what seat they will get and make it easier for unhappy customers to receive a refund. The court order also said that Viagogo would also have to prevent the sale of tickets a seller doesn’t own and not give misleading information about the availability of tickets. CMA chief executive Andrea Coscelli says: “This court order is a victory for anyone who decides to buy a ticket through Viagogo. “We have been clear throughout our investigation that people who use these resale websites must know key facts before parting with their hard-earned money, including what seat they will get and whether there is a risk they might not actually get into the event at all. Viagogo issued a statement, saying: “The agreement with the CMA will enable buyers and sellers to exchange tickets with more transparency and additional information, such as face value, will be displayed on the website. In August, Ticketmaster announced plans to close its resale sites Get Me In and Seatwave.